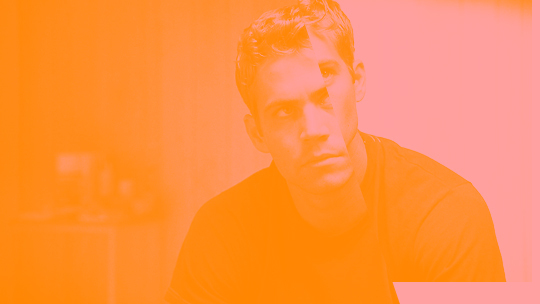 Much to my detriment, I’ve never seen a single film in Universal’s (The) Fast (and / the) Furious franchise, but over the last twelve months I have seen most of the other films listed on the resume of Paul Walker, who died in a car accident this weekend at the age of 40. Since January I’ve been working on a documentary about teen movies, specifically those released during the 1990s and early 2000s, and where that particular subset of movies is concerned, few stars left as indelible a mark as Paul Walker did. I’ve watched the incredible opening scene from Varsity Blues — in which Walker’s superstar quarterback Lance Harbor emerges triumphant from his rickety Texan home — nearly 100 times, almost as often as I’ve seen Walker lead Freddie Prinze, Jr. through the jungle of high school singledom in the first act of She’s All That. As long as I live, his character’s immortal description of mean girl Taylor Vaughn in that film — ‘an institution in this place’ — will remind me of Walker, and sum up his contribution to the genre I love so dearly. While he also clocked up star-making turns in The Skulls and Pleasantville, Walker’s greatest performance came in the film whose title most obituary writers have been awkwardly skirting around since Saturday. Joy Ride (known in the UK by the even more unfortunate moniker Roadkill) was an early big-screen offering from J. J. Abrams, which saw Walker on a cross-country road trip with Steve Zahn, pursued by a sinister, death-dealing trucker known only as Rusty Nail. Shot like a Jonathan Demme movie and paced like an episode of Lost, the film was a commercial failure but an unexpected critical favourite. Throw £8.75 at the Blu-ray — you won’t regret it.